Add to your collection and make the Chelsea Kids Third Shorts 2017/18 your next purchase to build your alternative look and mirror the image of Chelsea during UCL away fixtures this campaign. These are official replica youth third football shorts produced by Nike in an array of kids sizes available for you to select! To match the shirt the shorts are also dark grey in color combined with sky blue detailing with an all-over subtle graphic print, a new look for the current Premier League champions and will be loved by fans around the world. New kit suppliers Nike have incorporated their Dri-FIT technology fabric within to help boost performance levels and keep the wearer cool, dry and comfortable! Choose your size and order online today! These are official replica third shorts, a mirrored version of the ones worn by the Chelsea squad during away fixtures this 17/18 campaign. Your shorts are available for personalization with the official Premier League printing offered here at Soccer Box; use the section above to enter desired number. Nike is the new kit suppliers for Chelsea as of this season and has done an outstanding job in the production of these kids third shorts and remaining kit and training wear! 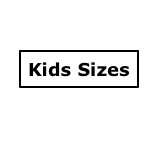 Your child’s third shorts include an elasticated waistband with an inner draw-cord within offering the availability to make tighter adjustments in order to receive maximum fit and comfort. As you can see on the images provided above the youth Chelsea third shorts are all-grey in color with hints of sky blue to signify details. The shorts also feature an allover subtle graphic print and is adorned on many of the Nike third kits this season; creating a unique yet much loved design that boasts a new look for your beloved club. With a wide range of sizes available to select today you should waste no time in ordering your must have Chelsea Kids Third Shorts 2017/18 today, an ideal gift for any young fan of the current Premier League champions!